InstaForex owns 8 trading servers and 50 data centres all over the world which ensure even load distribution. Such extensive network allows rendering reliable and high quality service to more than 2 000,000 clients from every corner of the world and makes the trading process with InstaForex Company very convenient. Regardless of the location, every trading server functions stably and accurately, covering the gap of thousands kilometres from one server to another in 0.2 second. 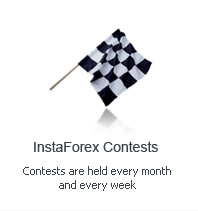 Any client of InstaForex Company opening a live trading account can choose the location of a trading server depending on his preferences and place of residence.